What do you guys think about chain reactions? Probably depends, right? Well, earlier this year, I shared my “30 Before 30” list. One of the things on that list was to start being healthier. Well, I’ve been doing that. I’ve been working out and eating cleaner and that has resulted in some body changes. With those changes, I’ve taken a hard look at my closet. I’m coming to the realization that I would rather have ten pieces in my closet that I absolutely love than one hundred pieces that are just ok. So, over the past six months, I have purged and then purged again. Anything that didn’t fit right (or has never fit right) immediately got purged. This project is a by-product of that purge. 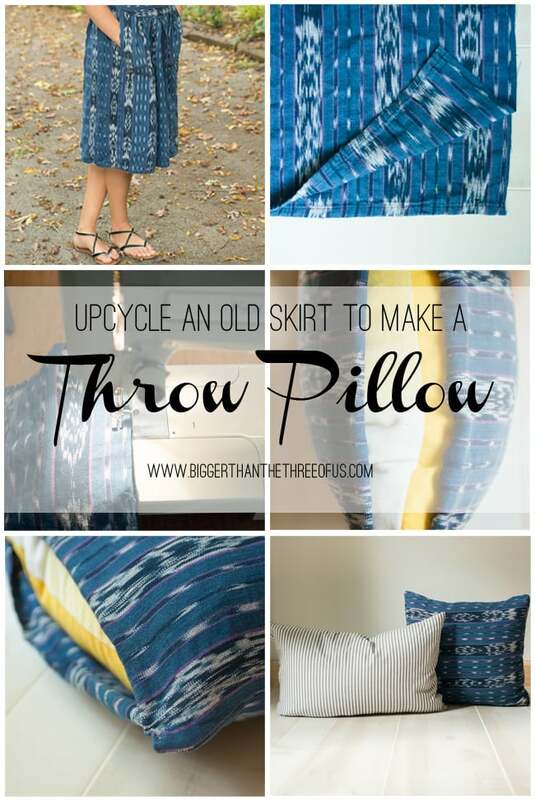 Take those purged clothes and make some upcycled pillows! Take these two outfits, for example. The dress on the left is cute but has never been long enough. The waist sat too high and, you can’t really tell from that picture but, the pockets in the back came way higher than they should have. With some weight loss, the top part was just sloppy. So, purge number one. The skirt on the right was just too full. It wasn’t flattering, because it just added emphasis on my belly button region. So, purge number two. 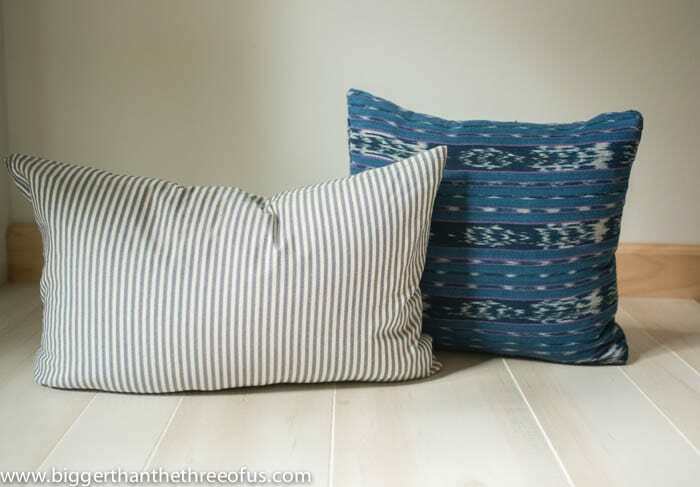 Grab an old throw pillow to use as your insert. 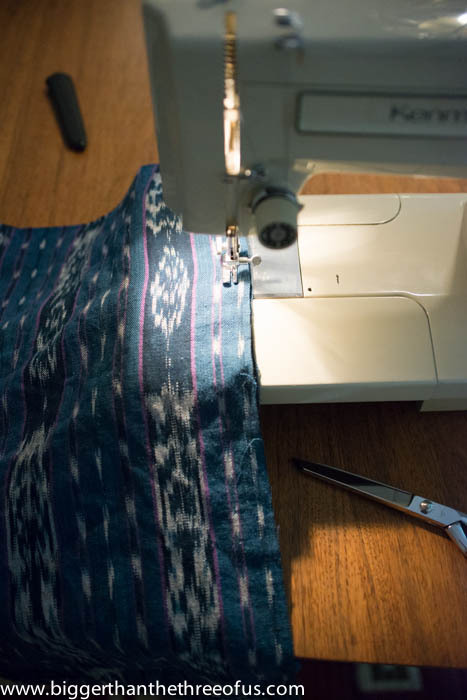 Cut your fabric slightly larger than your insert and turn the fabric so that what you want on the outside are facing each other. 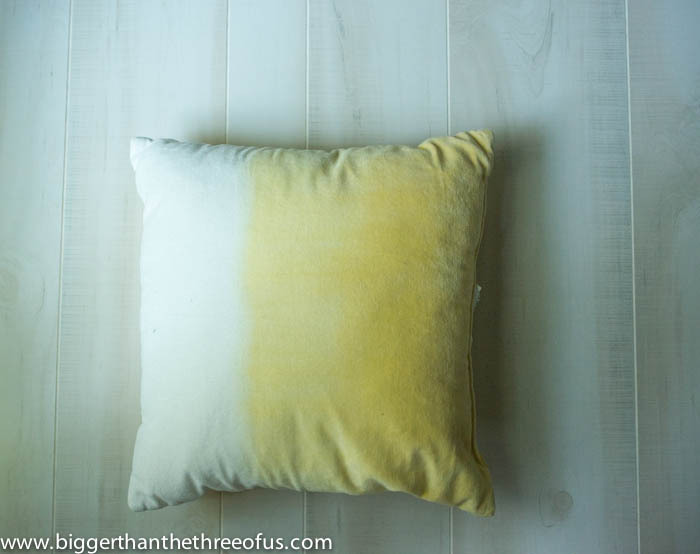 Sew three sides of your pillow; making sure to stay at the same seam allowance. 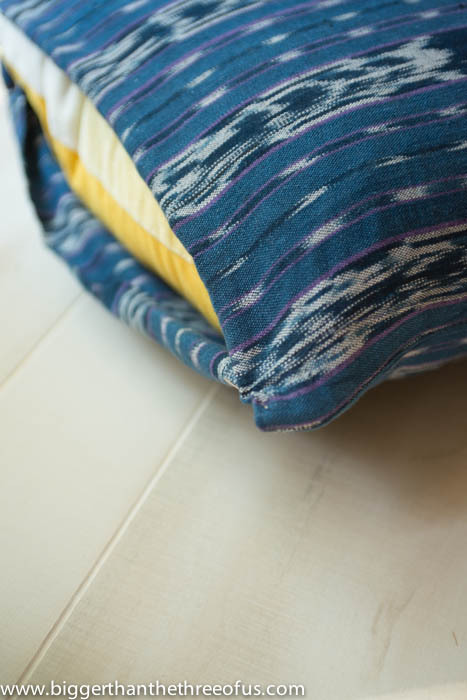 Turn your pillow form inside out and stuff your pillow. 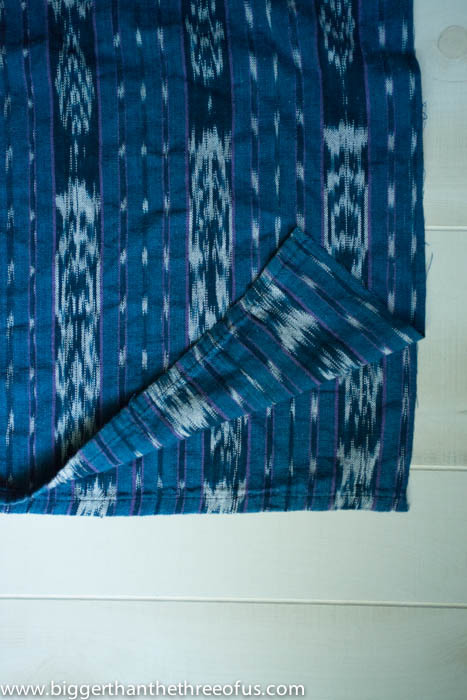 Tuck your fabric under so that you have a clean line. 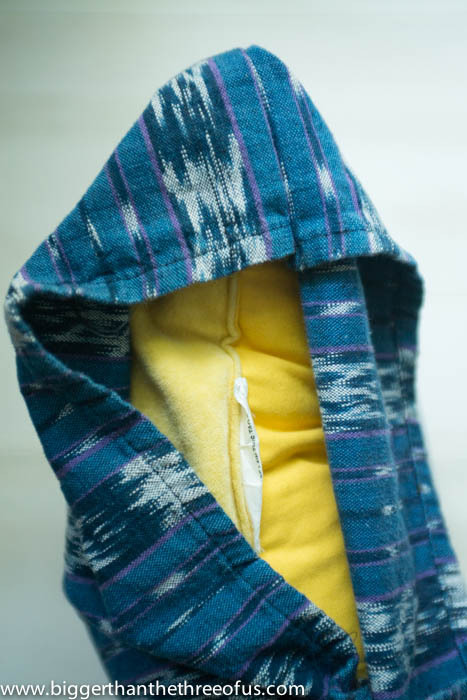 Hand-stitch your last opening closed. 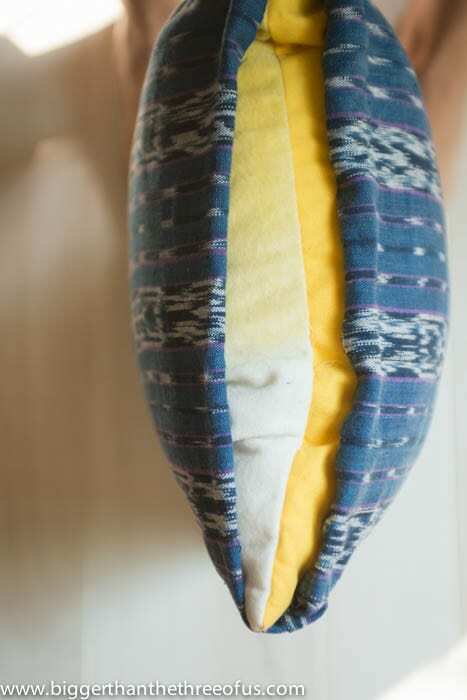 Pillows are so easy to make. 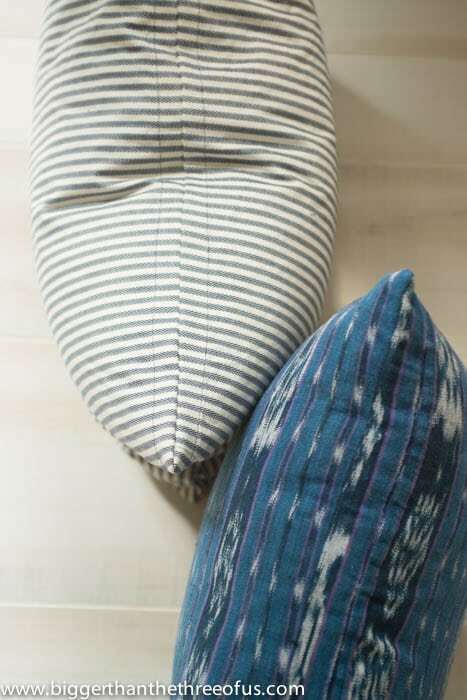 Next time you are doing a closet purge, just think about what kind of new pillows you could make! Are you ready to see what the other ladies did this month? Lovely Etc. 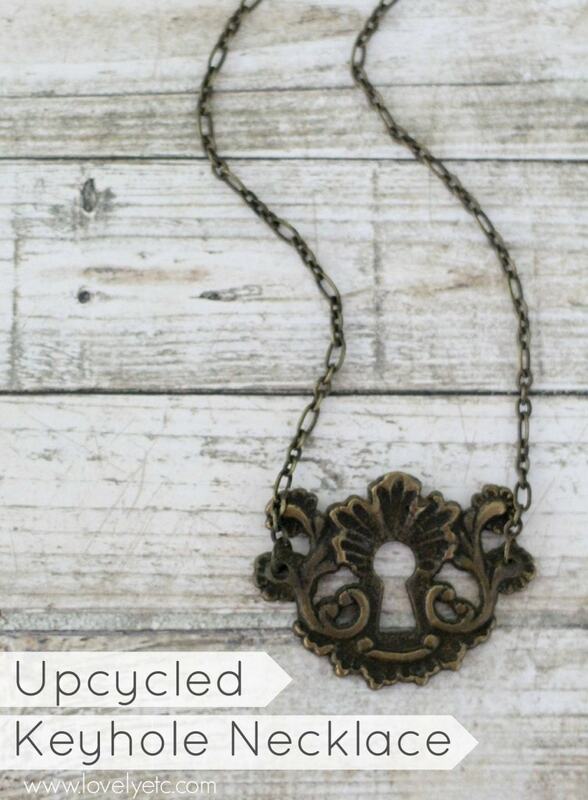 shared an Upcycled Keyhole Necklace. 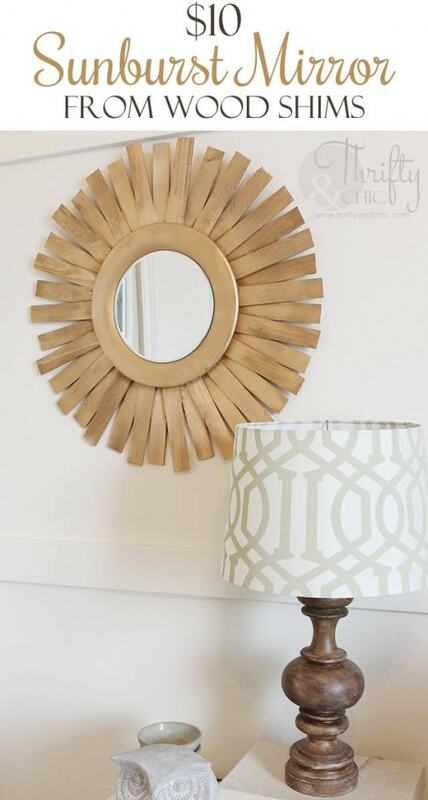 Thrifty and Chic shared a Repurposed Sunburst Mirror. 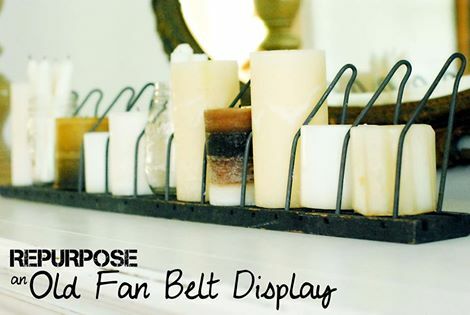 Life as a Thrifter shared her Upcycled Fan Belt Display. 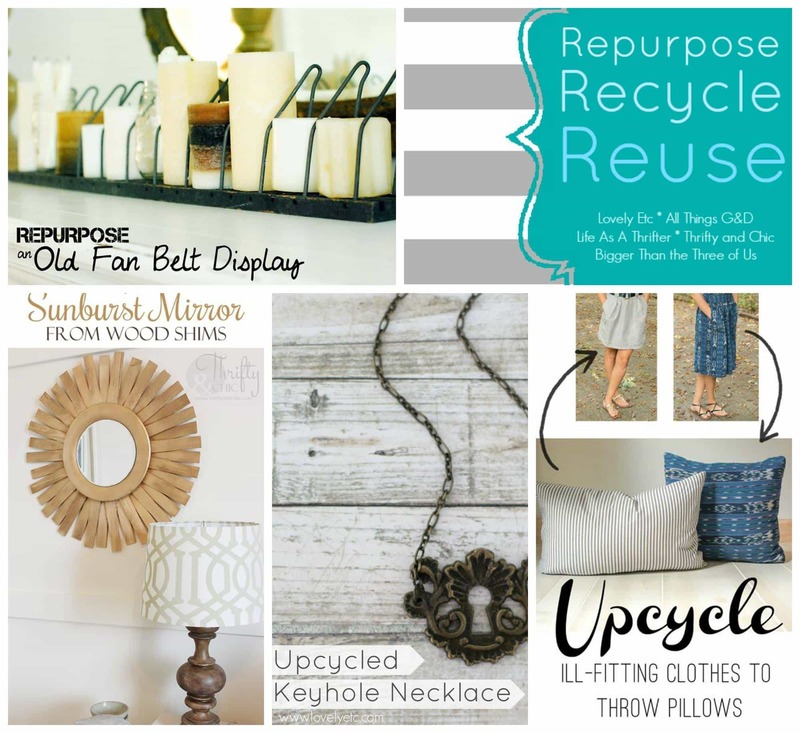 C.R.A.F.T., Project Inspired, Restless Arrow, The Makers, Outside the Box, The Winthrop Chronicles, Home Stories A-Z, Hit Me With Your Best Shot, Work It Wednesday, Fry Sauce and Grits, Liz Marie Blog, The Inspiration Gallery, Think and Make, Creativity Unleashed – The Bold Abode, Remodelaholic, Whipperberry, The Creative Collection, Tatertots and Jello, Link It or Lump It, and Frugal Crafty Blog Hop.